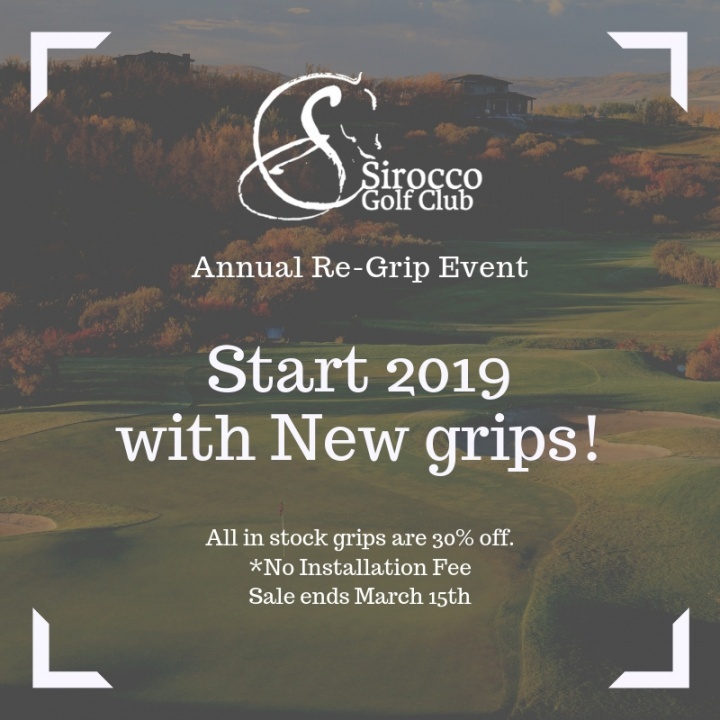 Sirocco Golf Club Annual Regrip Event! All in Stock Grips are %30 off with $0 Installation Fee. Golf Pride, Winn, Lamkin & Superstroke are available.